Conservative watchdog Judicial Watch is suing to obtain records of US government dealings with billionaire George Soros’ network of nonprofits in Macedonia, which stand accused by the country’s government of fomenting regime change. On Wednesday, Judicial Watch filed a Freedom of Information Act (FOIA) lawsuit against both the State Department and the US Agency for International Development (USAID), seeking “records and communications relating to the funding and political activities” of the Open Society Foundation and its affiliates in Macedonia. Judicial Watch filed the lawsuit after the State Department and USAID failed to respond to the organization’s FOIA request for the documents, which was submitted on February 16. The group, which is best known for successfully hounding the Obama administration into publishing Hillary Clinton’s work-related emails from her tenure at the State Department, has pressed the new administration to reveal details about its predecessor’s taxpayer-funded “democracy promotion” efforts in Macedonia. Between February 2012 and August 2016, the US government handed over $4,819,125 to the Soros-run Open Society Foundation – Macedonia (FOSM) and four local affiliates, through a USAID program called the Civil Society Project. The program was then extended through 2021 and its funding increased to $9.5 million, according to Judicial Watch’s senior investigator William F. Marshall. 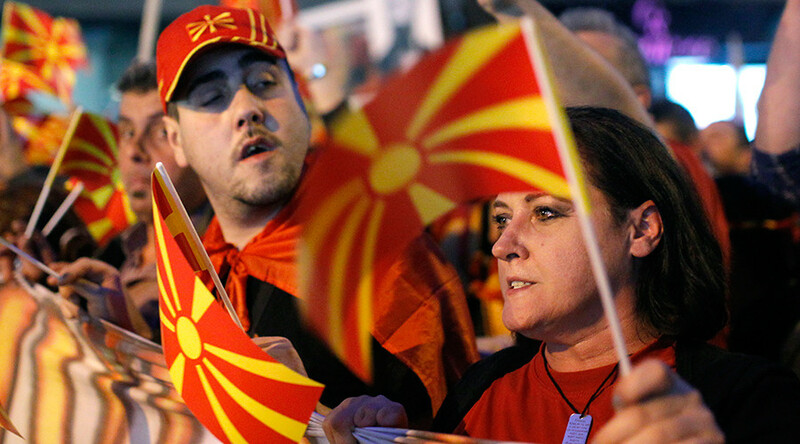 Macedonia, a former republic of Yugoslavia which declared independence in 1992, has received US aid ever since. In 2012, the aid became “very ideological” thanks to “Barack Obama and his ambassadorial minion, Jess Baily,” Marshall argued in a recent article published by American Thinker. Though it came second in December’s general election, SDSM has proposed a minority coalition government with the country’s restive Albanian minority. As a condition of their participation in the government, Albanians are insisting on a seven-point platform – co-written by governments in Albania and Kosovo – that includes a demand to make Albanian an official language in Macedonia. 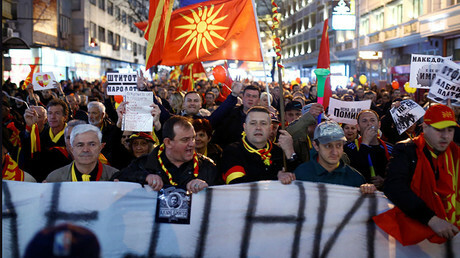 Claims by the government in Skopje that the US was meddling in the country’s politics by funding the opposition parties have led some lawmakers to question the Civil Society Project. In January, Senator Mike Lee (R-Utah) sent a letter to ambassador Baily, asking him to explain the State Department’s relationship with FOSM. In February, several congressmen requested an audit of the State Department and USAID activities in Macedonia. Last month, six Republican senators sent an open letter to Secretary of State Rex Tillerson, urging him to review the State Department’s practice of channeling taxpayer funds to organizations that promote “left-leaning parties” and the “progressive agenda” in foreign countries, citing Albania and Macedonia as the two most recent examples but noting that they had received complaints from South America and Africa as well. The Trump administration should “review how our tax dollars are being utilized in order to halt activities that are fomenting political unrest, disrespecting national sovereignty and civil society, and ultimately undermining our attempts to build beneficial international relationships,” the letter said.